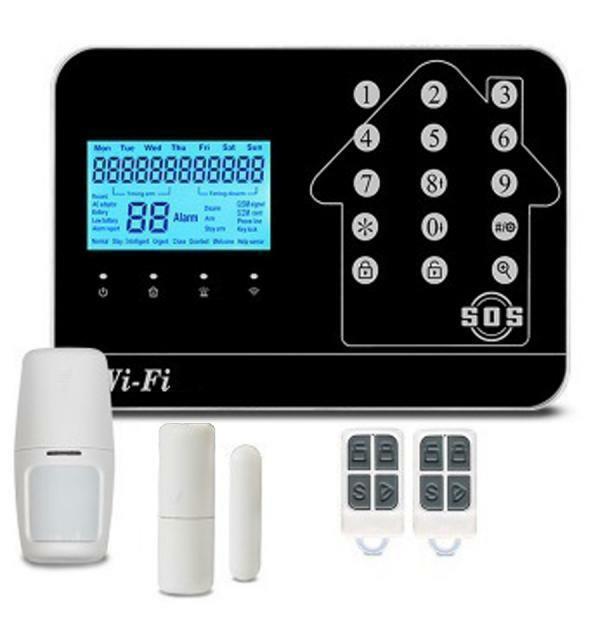 KS-552 Wireless Burglar Security Alarm System has implanted the most advanced and popular WiFi technology into traditional GSM+PSTN alarm system technology. It's very convenient for users to set up the alarm system via APP. This system features large LED screen, touch keypad, built-in Ni-Hi rechargeable battery and intelligent voice instruction. This burglar securtiy alarm system can integrate with door/window contact, PIR motion sensor and siren. This system allow up to 99 wireless zones and 4 wired zones. Users can use wireless remote controller to control the system when you leave and come back to home. Emergency alarm can be triggered by press the SOS button immediately. This security alarm system has elegant design and it is suitable for homes and office use. Suitable for homes, office, etc.